These are the rules governing all contests aired on Pulse 101.7 KPUL-FM radio and on the Pulse1017.com website, unless otherwise specified. 1. No purchase is necessary to enter any Pulse 101.7 KPUL-FM contest. 2. To be eligible to win any prize on Pulse 101.7 KPUL-FM you must not have won anything on Pulse 101.7 KPUL-FM in the past 30 days or any prize valued at $600 or more in the past 6 months. Only one winner per household is permitted within 30 days after a household has a winner. Any prize awarded to an ineligible listener will be deemed null and void, and an alternate eligible winner may be named. 3. Anytime you call the Pulse 101.7 KPUL-FM studios you assume that your call will be broadcast or recorded and you grant us permission to broadcast the call or record it for later broadcast. 4. As a winner of a Pulse 101.7 KPUL-FM contest your voice, name and/or picture may be used for promotional, broadcast, or internet purposes. 5. Prizes awarded are not redeemable for cash. No prize is transferable. No substitution for a prize will be made at the request of winner. Pulse 101.7 KPUL-FM reserves the right to substitute a prize of similar value. 6. All winners of all contests are responsible for all taxes on prize awarded. All winners of a prize valued at $600 or more will be required to complete the appropriate tax forms at the Pulse 101.7 KPUL-FM studios prior to claiming prize. All winners will be sent a 1099 MISC federal tax form if in one calendar year the prize value of all prizes won exceeds $600. 7. In the event the winner is subject to or the subject of any order or legal process issued by any governmental agency having jurisdiction over the affairs of the winner (i.e. garnishment, child support order, judgment, lien, and the like), Pulse 101.7 KPUL-FM delivery of the prize to the official representative of the governmental entity claiming a right to the prize shall be thus deemed as Pulse 101.7 KPUL-FM awarding the prize to the winner. Pulse 101.7 KPUL-FM shall be entitled to rely in good faith, upon any documents presented by the representative seeking to collect the prize in lieu of the winner. Pulse 101.7 KPUL-FM shall not be liable for any claim by any winner for damages incidental thereto. 8. All Pulse 101.7 KPUL-FM contests are open to all eligible 18 or over (unless otherwise specified). Contestants must possess a valid form of identification bearing the picture of the contestant acceptable to Pulse 101.7 KPUL-FM that will be presented to Pulse 101.7 KPUL-FM and accepted before the prize is awarded. 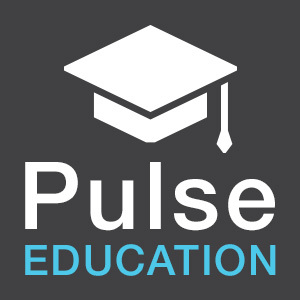 Employees of Pulse 101.7 KPUL-FM, their advertising agencies, affiliates, contest sponsors, employees and immediate families of each, and employees of all media of mass communication within a one hundred mile radius of the Pulse 101.7 KPUL-FM main studio are not eligible to win any contest. Immediate family includes the spouse, great-grandparents, grandparents, parents, brothers, sisters, children, grandchildren, and great-grandchildren of the employee and his/her spouse. This also includes individuals for whom the employee is current legal guardian. 9. Winners will be expected to claim prize at the Pulse 101.7 KPUL-FM studios, 33365 335th Street, Waukee, 50263, between 9:00am – 2:00pm, Tuesday through Thursday (excluding holidays) within 30 days of being notified that they are winners, unless there is an expiration date on prize, which will be specifically stated. 10. All federal, state, and local laws and regulations apply. Contest is void where prohibited. 11. Pulse 101.7 KPUL-FM reserves the right to disqualify any winner if any contest rules are violated in any way. 12. Pulse 101.7 KPUL-FM assumes no liability for situations, repairs, or incidents arising from any aspect of any prize awarded in any contest. Pulse 101.7 KPUL-FM, its advertising agencies, affiliates, contest sponsors, employees, and immediate families of each absolve themselves and shall be held harmless from any action or liability arising from any contest or prize awarded in any contest. 13. As a licensee of the FCC and a trustee of the public airwaves, Pulse 101.7 KPUL-FM reserves the right to interrupt and/or discontinue any contest or promotion (and not award the offered prize) at the discretion of Pulse 101.7 KPUL-FM management if world events, the national mood, or public safety so warrant. 14. Pulse 101.7 KPUL-FM reserves the right to amend the rules to any contest at any time. The judge’s decision is always final. 15. For any contest requiring phone entry you must use only the following number unless otherwise specified: (515) 987-9995. The person operating the telephone at Pulse 101.7 KPUL-FM has the final decision as to who is the winning caller. 16. Pulse 101.7 KPUL-FM shall have no responsibility for contestant’s inability or failure to participate, failure to win or claim any prize based on malfunction or difficulties with telephone, cell phone, texting, email, or internet access, or any other circumstances in any contest beyond Pulse 101.7 KPUL-FM’s control. a. All appropriate information in required fields must be filled out correctly and completely or you will be disqualified. b. To win a prize you must reside within the listening area of Pulse 101.7 KPUL-FM as defined at the exclusive discretion of Pulse 101.7 KPUL-FM management. c. Any problems with the internet or email are not Pulse 101.7 KPUL-FM’s responsibility. e. Due to the nature of our programs that are heard on-line over the internet, contests may not be heard at all. Contests heard on the radio station’s internet audio stream may be slightly delayed from the time the contests are heard on the broadcast station, and will be running behind the broadcast signal. Thus, all contests heard are delayed. This delay can last for as much as 30 seconds or more. This means that when Pulse 101.7 KPUL-FM contests are played that require a specific caller to telephone the radio station (such as “Caller number 10 when you hear the sound effect”), listeners to the on-line audio stream may be at a disadvantage in participating over those listeners who hear the contests on-air. 18. A copy of these rules are available during business hours at the Pulse 101.7 KPUL-FM studios 33365 335th Street, Waukee, IA 50263. THE FOLLOWING ARE BASIC CONTEST RULES FOR PLEDGE DRIVE CONTESTS BROADCAST ON PULSE 101.7FM. 1. To enter a pledge drive contest simply make a financial pledge when you hear the pledge drive contest announcement on the air. To enter a pledge drive contest without making a financial pledge, you may enter by calling (515) 987-9995 during regular business hours, or by emailing your name, address and a valid phone number to [email protected] before the contest deadline. 2. 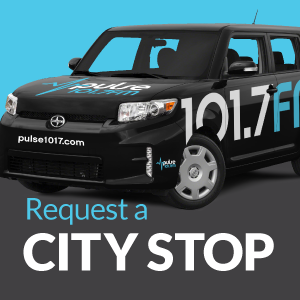 All Pulse 101.7FM contests are open to all U.S. Pulse 101.7FM listeners unless specific age is required by type of contest, participating agency or advertiser or by law. 3. Only one qualifier or winner per family within a 30 day period. 4. Winners may be required to sign a release, and all winners agree to allow Pulse 101.7FM to use their name, and/or likeness for promotional purposes without further compensation. All calls coming in to Pulse 101.7FM are taped and may be aired on Pulse 101.7FM without further approval. 5. Pulse 101.7FM is not responsible for problems occurring within the telephone system which either inhibit or increase the chances of winning a phone-in contest. In case of telephone line malfunctions, the decision of Pulse 101.7FM will be final. 6. Due to Internet delays beyond our control, what you hear on Pulse 101.7FM Online may be delayed at times. These delays may cause you difficulty in participating in on-air contests. Also, online listening delays may vary depending on your Internet connection. 7. Employees and agents of Positive Impact Media, Inc. and their families, their advertising agencies, or representatives are ineligible to enter contests on Pulse 101.7FM. 8. Winners may not request substitution or other consideration from the originally awarded prize. Unless otherwise stated, all prizes will be mailed. Pulse 101.7FM is not responsible for any delays in receipt of prizes caused by the mail system. 9. Prizes are non-transferable, except for concert tickets which are placed at will-call. Prizes have no cash value, expressed or implied. 10.Pulse 101.7FM reserves the right to revoke prizes if the winner does not meet any or all eligibility requirements, even though an announcement may have been made on the air indicating that person was the winner. 11.A 1099 MISC form will be completed and filed with the Internal Revenue Service for each winner who over the course of the calendar year has won prizes with a total value of $600 or more. All local, state and federal taxes are the sole responsibility of the winner. 12.Pulse 101.7FM may, due to the unavailability of prizes awarded, substitute another prize of equal or greater value for the prize originally won. Pulse 101.7FM will not be responsible, or be held liable for prizes awarded to an event that is canceled due to circumstances beyond our control. 13.With respect to any disputes regarding contests, the decision of Pulse 101.7FM will be final. 14.Pulse 101.7FM, its agency, and representatives shall not be liable for any claim, injury or damage from any Pulse 101.7FM contest or prize awarded in a contest. 15.All contest entries become the property of Pulse 101.7FM. Pulse 101.7FM may withhold any or all contest entry materials, for any reason, station management deems crucial to the completion of the contest, or for reasons relating to publicity and/or advertising. 16.Unless otherwise stated, multiple entries by the same person will be discarded and may be deemed cause for disqualification. 17.These rules are subject to change without notice. 1) The Aspen Aire Warm for the Holidays contest begins on 11/06/117 and ends at 9:00AM on 11/27/16. 3) The estimated value of the Grand Prize will be based on the assessed need of the home once the winner is selected. 1) No purchase is necessary to enter. 2) To enter, complete the online form which can be found at www.pulse1017.com. The entry essay should consist of 100 words or less. 3) The individual being nominated must have the authority to grant permission to install the furnace on the property. The nominated individual must also reside within 20 miles of the Des Moines metro area. 4) Entries must be received by KPUL no later than 9:00AM on 12/12/16. KPUL is not responsible for failure to receive any entries due to email disruption or any other reason whatsoever. 5) Multiple entries are not permitted. 6) Winners will be selected by a panel of judges appointed by KPUL. Each entry will be judged by the following criteria: 50% based on the need for a new furnace and 50% on the quality of the essay. All decisions will be final. 7) The Grand Prize winner will be selected by the panel of judges based on the nomination entry, contacted by telephone and announced on air the week of 12/19/16. 8) KPUL reserves the right to change these rules at any time. 1) The prize has been furnished by Aspen Aire, Inc., who is solely responsible for its provision, maintenance, and liabilities. 2) DISCLAIMER OF WARRANTIES. KPUL makes no warranty concerning fitness or merchantability of any goods given as prizes. 3) As a condition to acceptance, all prize winners must release KPUL, its owners, officers, directors, managers, employees, and agents from any and all liabilities arising directly or indirectly from the prize. Failure to sign a waiver constitutes forfeiture of any prize. 4) Eligibility: Entrants must be at least 18 years of age to qualify. No employee, director, or officer of KPUL or this contest’s sponsors, or members of their immediate families, is eligible to participate in this contest. 5) No substitutions or transfers of prizes are allowed. Failure to collect the prize within a reasonable time will constitute forfeiture. KPUL is not liable for the failure of any participating sponsors to furnish their portion of the prize. 6) Participation in this contest constitutes the entrant’s permission for KPUL to use the participant’s entry, name, voice, or likeness and the fact that he/she participated in or won the contest. 7) Winners shall be responsible for any taxes imposed on receipt of the prize. 8) Failure to comply with all contest rules will result in disqualification and forfeiture of any prize.